We drive to Northern Michigan and cut our trees in late November so we can bring you the freshest trees possible. This year we will drive up and cut the trees on Friday Novemeber 22. We will be getting mostly Fraser and Balsams. Our prices are great and we only cut the best trees. 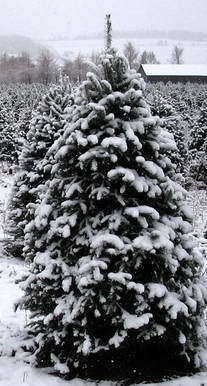 We have limited quantities, so come early and select your tree, we can keep it on site for you until you are ready to put in your house.